Full Description: Residential complex “Harmony” is in one of the most famous Bulgarian resorts “Sts Constantine and Helena” and offers a unique atmosphere for the best tourism and accommodation. 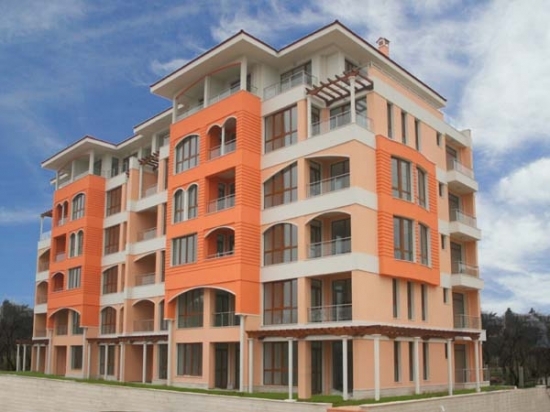 The complex is located in the beautifull park of the resort and only 430m from the beach, and ot the same time the residents may use the comfort of Varna city. “Harmony” offers selected services to meet the residential needs: 24 hours parter and security, maintenance, landscape service, cable TV, internet, air- conditioning. There is a garage allocated to each estate. “Harmony” complex is a unique place which combines picturesque nature with the modern buildings and services for the comfort of the residents. This is not just a place, It’s lifestyle! This listing has been viewed 1740 times.